Asakusa has been going through a drastic change in the past couple of years. There has been an increase in the influx of young Tokyo residents visiting Asakusa for sightseeing, boosted by the promotion campaign of Tokyo Metro. Posting from these trend-conscious people sent out on the social network help Asakusa gained attention from overseas tourists who are looking for real-time information. 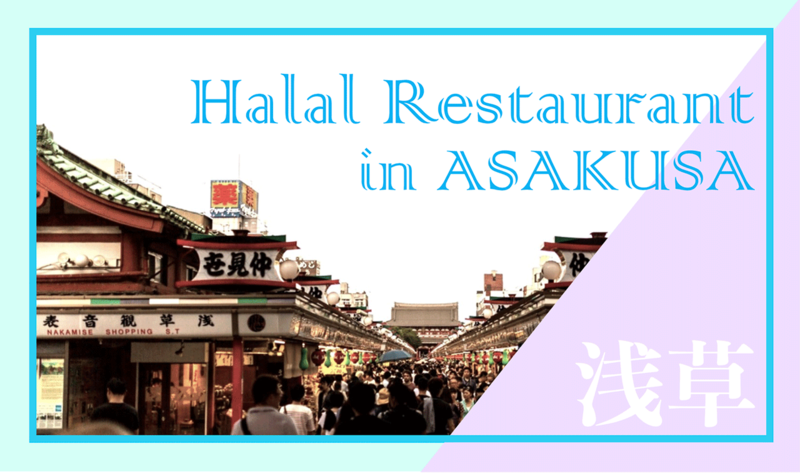 As Muslim-friendly restaurants are popping up in the area, we will run a series of articles to feature current trends in Asakusa. Within the 10-minute walk from the Asakusa station, you can find a bunch of souvenir shops on the Nishi Sando Shopping Street that look familiar to you from the Tokyo Metro commercials. 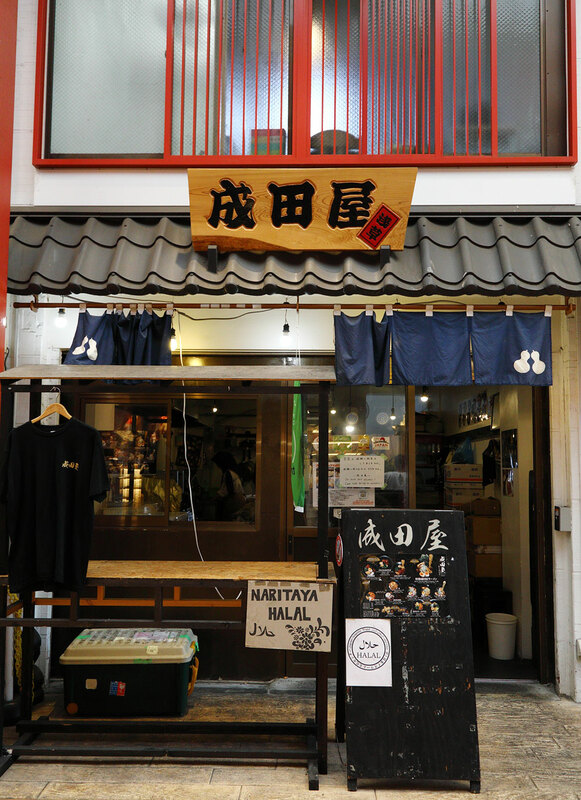 Unlike the Nakamise Street, shops on Nishi Sando have a modern taste displaying accessories and miscellaneous stuff or offering a game of goldfish scooping. 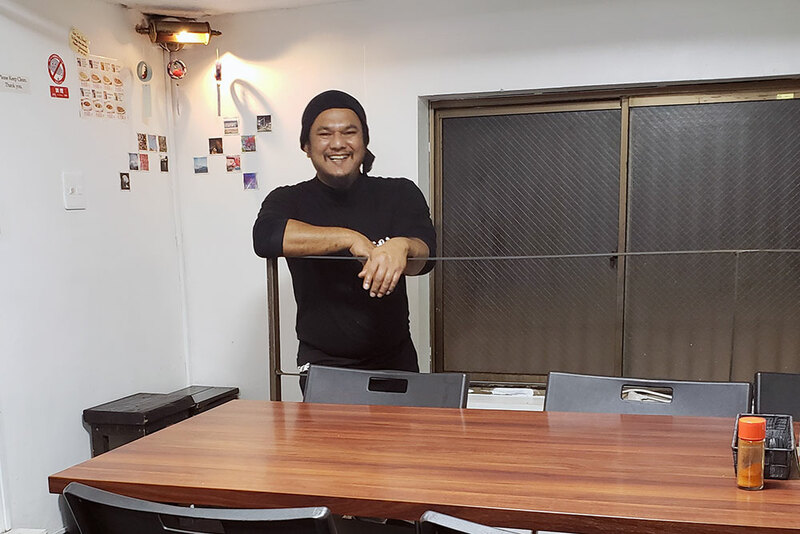 Located on this street next to the bridge, Naritaya is nothing but an ordinary ramen stand from the outlook or the size, but its interior uniquely comes with the prayer room and genuine hospitality for Muslim guests. The broth is made from bonito, seaweed, and vegetables, and mixed with mild taste soy sauce to be served in a bowl of ramen. There are also noodles without broth available on the menu, to cater to the preference of overseas customers. Ramen and broth-less noodles are not as oily as you may guess from the thick color, and gyoza or other side dishes are also light-tasted. 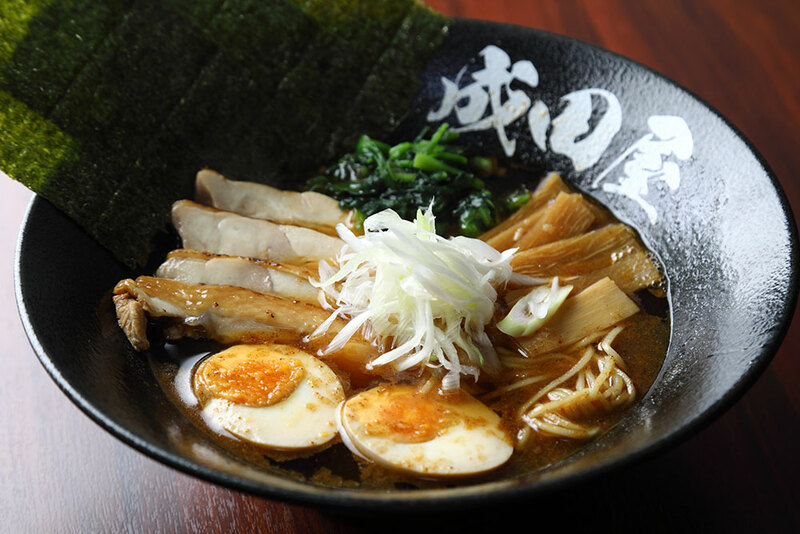 Special Naritaya Ramen is priced at 1,300 yen. The curry at Naritaya is a Malaysian style with chicken so tender that connective tissues fall apart with a touch of chopsticks. 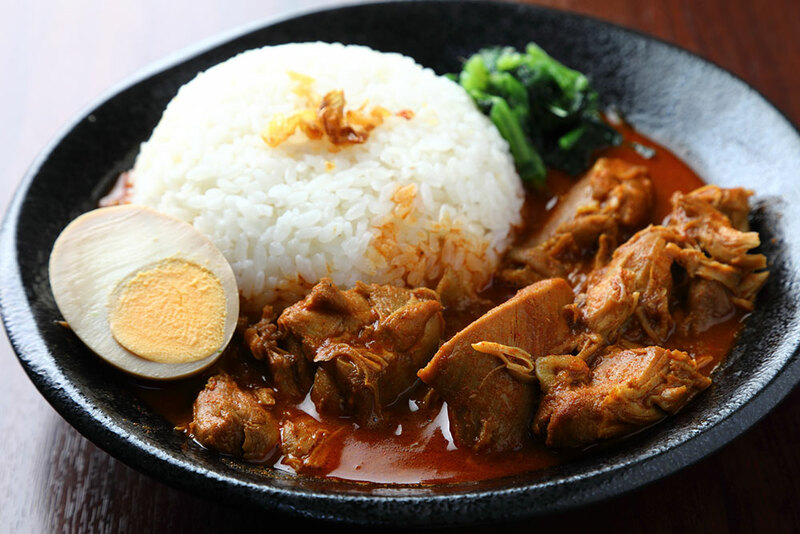 This authentic dish is prepared by a Malaysian chef cooking in a large pot at its central kitchen, and is so popular that many regular customers visit the restaurant to eat the curry full of spice and flavors. Naritaya Curry Rice is offered at 1,300 yen. 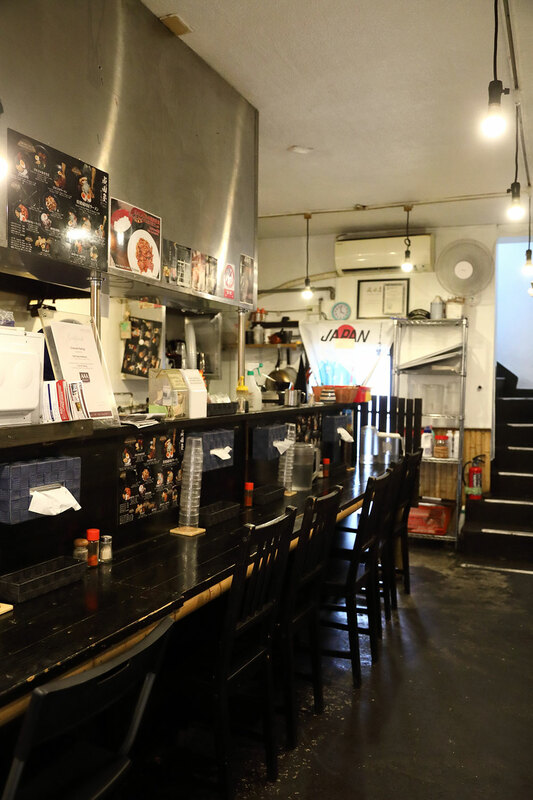 The chef is fluent in Japanese and knowledgeable about the Japanese ramen industry. He is also creative in coming up with new recipe, mixing flat noodles with fish-and-vegetable spice and the grilled chicken topping. The entire menu is additive free and healthy, which also makes an appeal for certain customers. 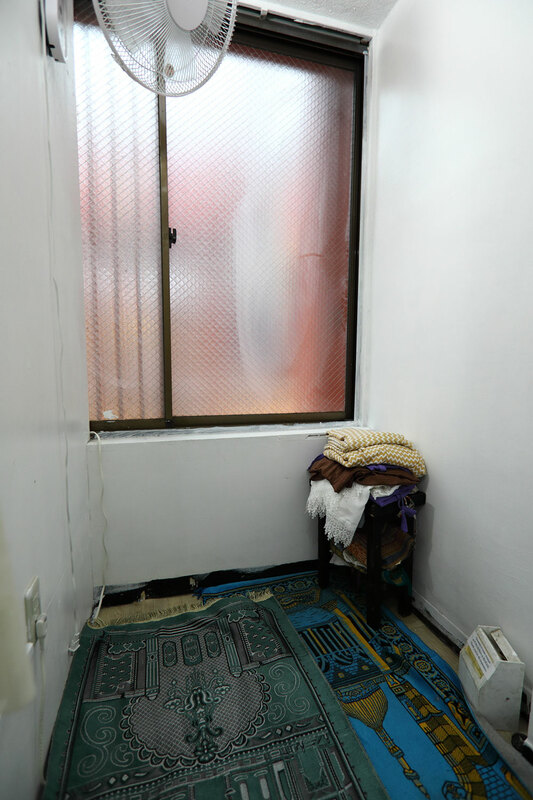 The restaurant focuses on the localized service and offers halal meal lessons on the 2nd floor. 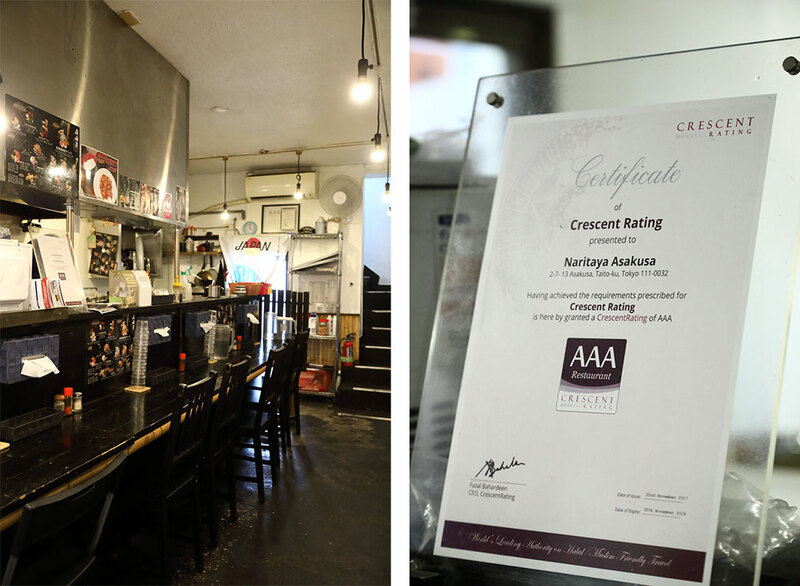 Muslim customers coming from overseas to find the Japanese ramen dish using hashtags on the Instagram can be assured by a AAA rating the restaurant received from Crescent Rating and enjoy the stress-free meal.